Family fun, all the room and storage you could want with this stow n go package with the 4 captains chairs, split rear bench allowing you to haul 7 people or quickly convert to hauling 4'x8' material from the lumber year. 3.6 liter engine with power heated mirrors, power windows and locks, uconnect hands free group with bluetooth streaming audio capability. and lots more, clean and well maintained, a must see. During our inspection we replaced the battery, and changed the engine oil and filter. At McFadden Friendly Motors, we strive to provide you with the best quality vehicles for the lowest possible price, and this Grand Caravan is no exception. This vehicle has been inspected, serviced and is ready for immediate delivery! Stop in, call or click today, before this vehicle is gone!!! See our entire inventory at www.mcfaddenfriendly.com! This 2017 Dodge Journey SE features 3 rows of seats! Front bucket seats, 2nd row 40/60 tilt, slide and recline and 3rd row 50/50 fold and reclining rear seats and fold flat to provide ample hauling capacity! With 3 zone air conditioning everyone is going to me comfortable! This Dodge has keyless enter and go with remote proximity sensing, plus 11 air bags to keep everyone safe. This Journey is a one owner we sold new! During our inspection we mounted and balanced 2 tires, and changed the engine oil and filter. At McFadden Friendly Motors, we strive to provide you with the best quality vehicles for the lowest possible price, and this Journey is no exception. This vehicle has been quality inspected, serviced and is sold with warranty! So stop in, call or click today before this great value is gone!!! See our entire inventory at www.mcfaddenfriendly.com! This 2012 Jeep Liberty Limited Jet Edition has a drivers power seat with 2 position memory, leather seats, 20 wheels, am/fm/cd with streaming blue tooth, satellite radio, aux port, 9 amplified speakers including subwoofer and steering wheel audio controls, and much more! Extremely clean and well maintained.. During our inspection we replaced a side marker light bulb, replaced the left front axle and changed the engine oil and filter. At McFadden Friendly Motors, we strive to provide you with the best quality vehicles for the lowest possible price, and this Liberty is no exception. This vehicle has been inspected, serviced and is ready for immediate delivery! Stop in, call or click today, before this vehicle is gone!!! See our entire inventory at www.mcfaddenfriendly.com! This 2016 Jeep Patriot High Altitude 4x4 features heated leather front bucket seats, power drivers seat, power sunroof, granite painted 17 aluminum wheels, sunscreen glass, and much more! During our inspection we replaced the front brake pads and resurfaced the rotors, mounted and balanced 4 new tires, aligned the front end, replaced the wiper blades and air filter and changed the engine oil and filter. Auto Check shows this to an accident free vehicle. At McFadden Friendly Motors, we strive to provide you with the best quality vehicles for the lowest possible price, and this Patriot is no exception. This vehicle has been quality inspected, serviced and is sold with warranty! So stop in, call or click today before this great value is gone!!! See our entire inventory at www.mcfaddenfriendly.com! This 2008 Jeep Wrangler Unlimited Sahara features automatic transmission, air conditioning, factory remote start, power windows, power locks, cruise, 3 piece removable hard top, am/fm/cd with Satellite radio, aux port, 9 Alpine speakers with subwoofer, anti-spin rear axle, 18 aluminum wheels, front tow hooks, deep tinted glass, painted wheel flares and much more! During our inspection we replaced the battery, replaced a front marker lamp bulb, replaced a 3 wiper blades, replaced 1 faulty tire pressure monitor sensor and changed the engine oil and filter. At McFadden Friendly Motors, we strive to provide you with the best quality vehicles for the lowest possible price, and this Wrangler is no exception. This vehicle has been quality inspected, serviced and is sold with warranty! So stop in, call or click today before this great value is gone!!! See our entire inventory at www.mcfaddenfriendly.com! 3rd ROW!! 2017 Dodge Grand Caravan GT with 3.6L V6 has leather, heated power seats with heated 2cd row, power lift gate, power sliding doors, touch screen Navigation, am/fm/cd/ Uconnect hands free phone, rear back up camera, remote start, auto running day lights, heated steering wheel, 2cd and 3rd row retractable window shades and more!! At McFadden Friendly Motors, we strive to provide you with the best quality vehicles for the lowest possible price, and this Grand Caravan is no exception. This vehicle has been quality inspected, serviced and is sold with warranty! So stop in, call or click today before this great value is gone!!! See our entire inventory at www.mcfaddenfriendly.com! This sharp looking and fun to drive 2017 Dodge Charger SXT features heated front bucket seats, a power drivers seat, Uconnect infotainment system with 8.4 touch screen, HD radio, Apple car play, Google Android audio, streaming blue tooth, satellite radio, 276 watt amplifier, keyless enter and go with remote proximity sensing, factory remote start, Bi-functional halogen projector head lamps, LED fog lamps, rear spoiler, sport graphics, and much more! At McFadden Friendly Motors, we strive to provide you with the best quality vehicles for the lowest possible price, and this Charger is no exception. This vehicle has been quality inspected, serviced and is sold with warranty! So stop in, call or click today before this great value is gone!!! See our entire inventory at www.mcfaddenfriendly.com! 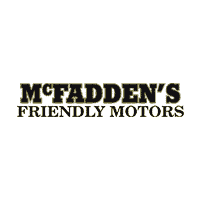 Would you like to speak to a product specialist at McFadden Friendly Motors in South Haven, MI regarding a vehicle in our used inventory?Do you want to reap the benefits that come with purchasing a pre-owned car, truck, or SUV from McFadden Friendly Motors in South Haven, MI? The first step is to browse the used car inventory available at our dealership! From popular SUVs, to the powerful pickup trucks, you can find exactly what you need for your daily drive. Begin your search by using our filters to narrow your query to the exact model you have in mind. Does your morning commute need an upgrade? Consider a pre-owned Chrysler or Dodge sedan for sale at McFadden Friendly Motors like the fuel-efficient Dodge Dart or the luxurious Chrysler 200. If you have a need for speed, check out our selection of the pre-owned Dodge Charger sedans! You can schedule a test drive in any pre-owned sedan at our dealership by calling (877) 589-6292 to schedule an appointment. Prepare for your next excursion when you choose to get behind the wheel of a pre-owned SUV from McFadden Friendly Motors in South Haven, MI. Growing families and adventure seekers alike will appreciate the ample room inside the Dodge Durango, and the off-road capability of the Jeep Cherokee. Call our dealership at (877) 589-6292 to check availability on a particular SUV or crossover, and to schedule a test drive! If you’re in need of a pickup truck that works as hard as you do, a pre-owned Ram1500 is exactly what you’ve been looking for. With incredible towing capability and rugged durability, you’re sure to love what a pre-owned Ram has to offer. If you see a used truck you want to take for a spin, submit our online form to schedule a test drive. If you live in Benton Harbor, St. Joseph, Georgetown, Holland, Kalamazoo, or Texas Charter Township, we have good news for you! McFadden Friendly Motors is serving drivers in your area! Our Chrysler, Jeep, Dodge, and RAM dealership is conveniently located west of I-196 and 12th Ave. in South Haven, MI. If you have any questions for one of our automotive experts, please call us at (877) 589-6292.